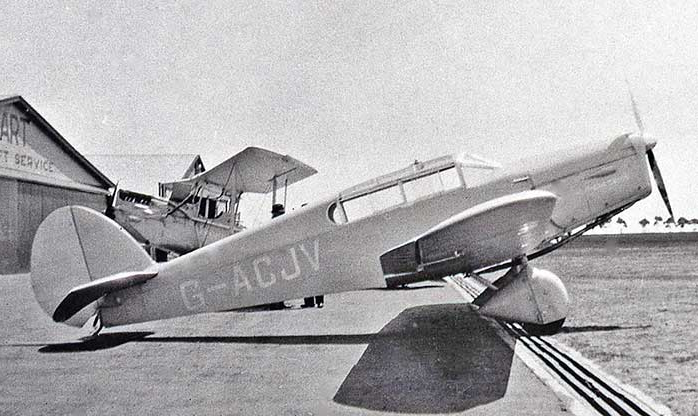 Kingsford Smith’s Percival Gull, G-ACJV. after taking off from Lympne, 4 October 1933. After a positioning flight from Heston on 3 October 1933, at 5:28 a.m. British Summer Time (B.S.T. 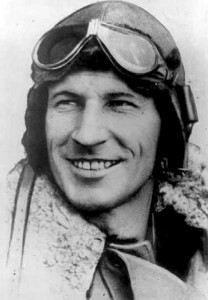 ), on Wednesday, 4 October, Sir Charles Kingsford Smith, M.C., A.F.C., took off from Lympne Aerodrome, Kent en route Wyndham, Western Australia. He had said that he wanted to arrive there as soon as possible, but breaking a record was not his stated purpose. 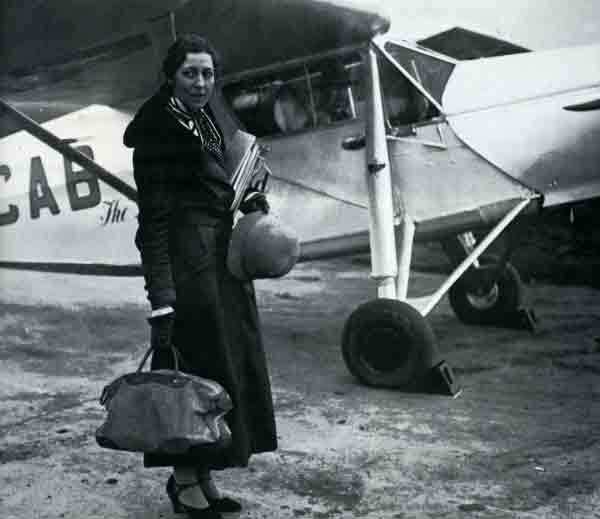 Kingsford Smith’s airplane was a Percival D.2 Gull IV, which he had named Miss Southern Cross. On the first day, “Smitty” flew to Brindisi, Italy, arriving at 4:30 p.m. He departed for Baghdad, Kingdom of Iraq, at 3:30 a.m., the following morning after a 1,600 mile (2,575 kilometer) non-stop flight. Departing Baghdad at 4:00 a.m. local (2:00 a.m. B.S.T. ), 6 October, Kingsford Smith intended to fly on to Karachi in the Bombay Presidency, but feeling unwell, he landed at Gwadar, on the coast of the Gulf of Oman. He rested over night and departed early the next morning, finally arriving at Karachi at about 10:00 a.m., 7 October. Five hours later, Kingsford Smith took off for Calcutta, British India, and arrived there at 1:40 p.m. on 8 October. He refueled and after about 30 minutes was airborne once again, flying to Akyab, British Burma. He remained there overnight, but departed at dawn the following morning, 9 October. From Akyab, on 10 October Smitty flew to Alor Star, Kingdom of Siam. He landed at 5:15 p.m., local time. Once again airborne at dawn the following day, Kingsford Smith’s next destination was Sourabya, Java, in the Dutch East Indies. He landed at 6:23 p.m., local time. The final leg of the journey began at 4:55 a.m., local, 11 October. Flying across the Timor Sea, Charles Kingsford Smith landed at Wyndham, Western Australia, at 5:12 p.m., local (9:12 a.m., G.M.T.). Miss Southern Cross was Percival D.2 Gull Four, serial number D39, built by George Parnell & Co., at Yate Aerodrome, Gloucestershire, for the Percival Aircraft Co. 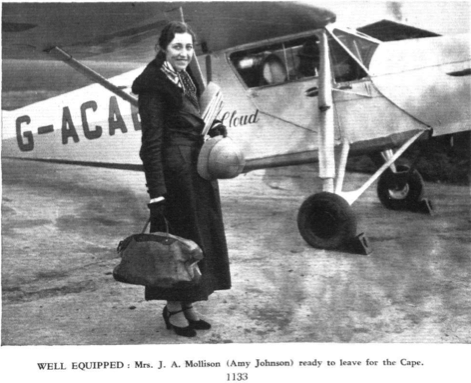 It was a single-engine, three-place light airplane with fixed landing gear. 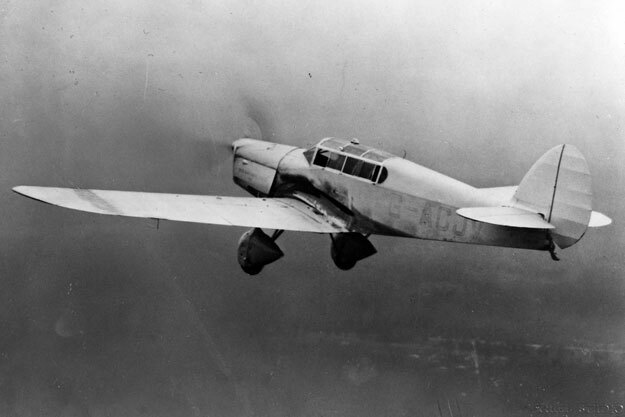 Charles Kingsford Smith had the two passenger seats removed to provide space for an auxiliary fuel tank, increasing the airplane’s total fuel capacity to 120 gallons ( liters). The Percival Gull was 24 feet, 8 inches (7.518 meters) long with a wingspan of 36 feet, 0 inches (10.973 meters). The airplane had an empty weight of 1,170 pounds (531 kilograms), and gross weight of 2,050 pounds (930 kilograms). In 1933, the advertised price of a Percival Cull, “fully equipped, including compass,” was £1,275. The Gull’s fuselage was constructed of spruce stringers and struts, covered with a three-ply skin. 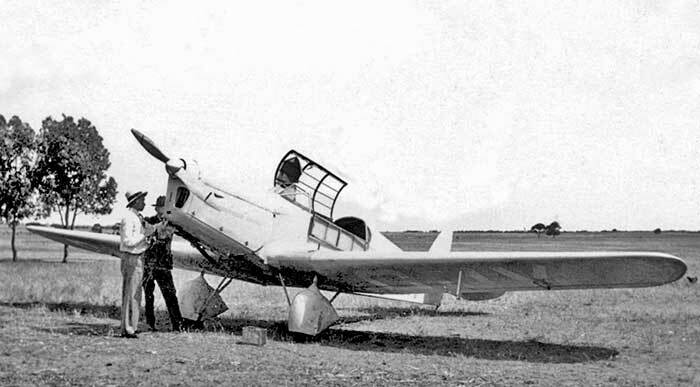 The wings were designed to be able to fold back alongside the fuselage. The resulting width of 12 feet, 10 inches (3.912 meters) required considerably less storage space. 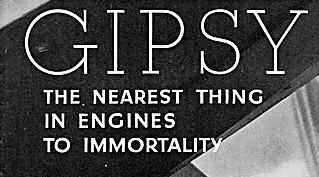 The Percival D.2 Gull IV was powered by an air-cooled, normally-aspirated, 373.71-cubic-inch-displacement (6,124 cubic centimeters) de Havilland Gipsy Major I, an inverted, inline four-cylinder engine with a compression ratio of 5.25:1. 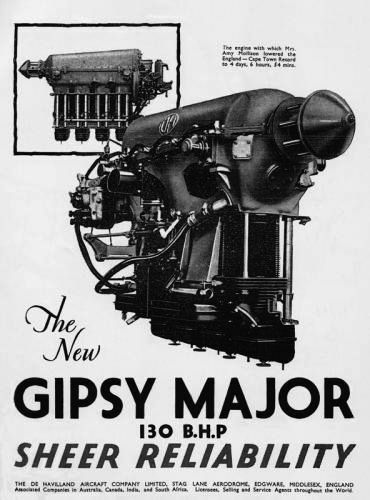 It produced 120 horsepower at 2,100 r.p.m and 130 horsepower at 2,350 r.p.m. The engine weighed 306 pounds (138.8 kilograms). 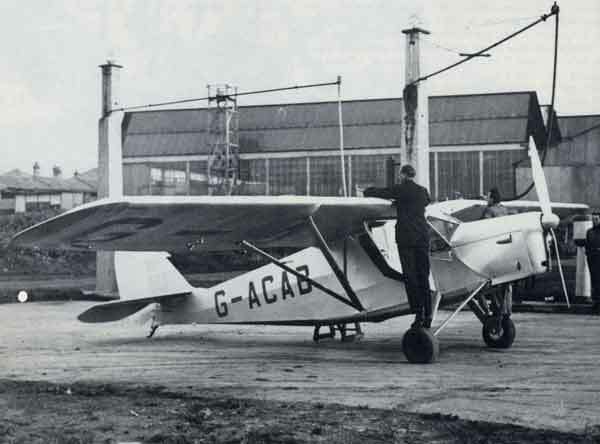 The engine turned a two-bladed adjustable pitch Fairey metal propeller. 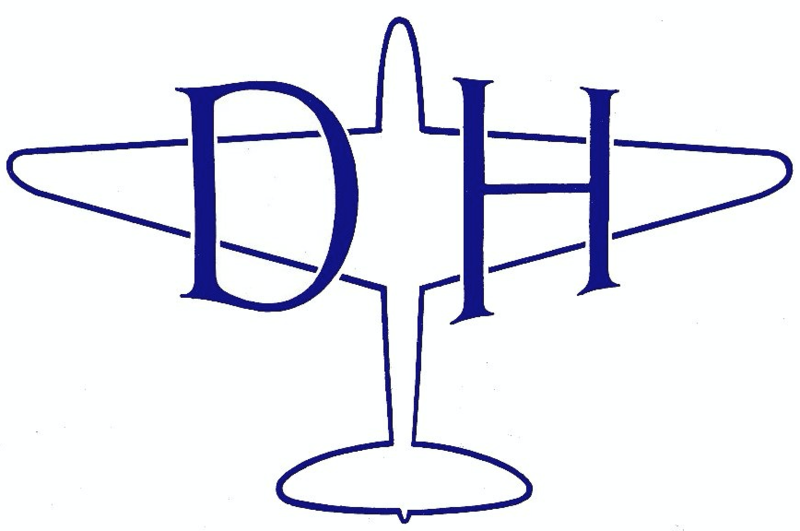 The D.2 Gull IV had a cruise speed of 125 miles per hour (201 kilometers per hour) and maximum speed of 145 miles per hour (233 kilometers per hour). The standard airplane had a range of 1,600 miles (2,575 kilometers). With Smitty’s auxiliary fuel tank installed, it had an estimated range of 2,000 miles (3,219 kilometers) in still air. On arrival in Australia, Miss Southern Cross was re-registered VH-CKS. This letter combination was out of the normal sequence, but was authorized for Charles Kingsford Smith. Over the next 11 months, VH-CKS was operated for charter flights and demonstrations. It was damaged several times, but repaired and returned to service. On the night of 28 November 1934, flown by Oliver Blythe (“Pat”) Hall, a pilot employed by Kingsford Smith Air Service Ltd., crashed while descending through clouds at Square Rock, near Yerranderie, New South Wales. Hall was injured, but survived. A passenger, L. Hinks, died of injuries several hours later. Miss Southern Cross was destroyed.